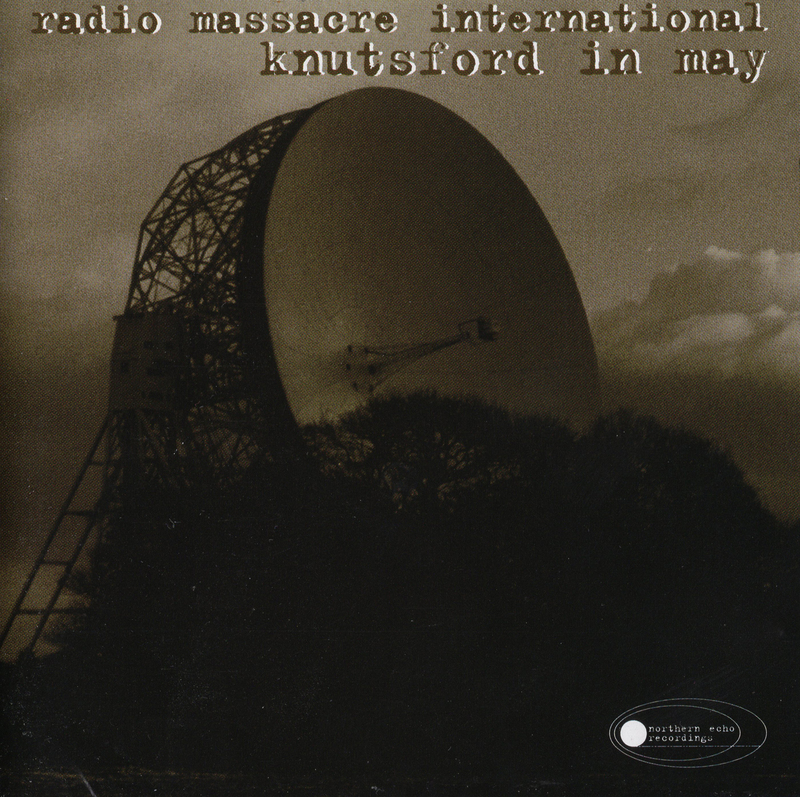 In May 1996 Radio Massacre International were the first group to play an electronic concert at Jodrell Bank space research centre in Cheshire, in the shadow of the biggest satellite dish in the world. It was a location buzzing with inspiration and ideal for creating improvised music. KNUTSFORD IN MAY is a complete direct to DAT recording of the music played that evening. The pristine digital sound quality is matched by some inspirational musical twists and turns. From the first notes of 'Under the Dish' the atmosphere is one of unashamed glorification of the surroundings and its relationship with space and time. R.M.I. are always a group to thrive in a special environment. The album's centrepiece is a long dynamic improvisation named 'Skeletope' which includes samples of Jodrell Bank scientists bouncing the first signals off the surface of the moon. A triumph of live sequencing, mellotron and guitar, it is one of R.M.I. 's very best pieces to date. 'Action Painting's sequences develop hypnotically as they bounce around the planetarium and round off a performance that the group was so happy with they just had to release it.